Thanksgiving is a time for family, friendship, food and, for many of us, tons of time, energy and money spent making the perfect holiday meal. You’d love to adorn your home and table with decorations and embellishments, but your resources are already exhausted –and so are you! 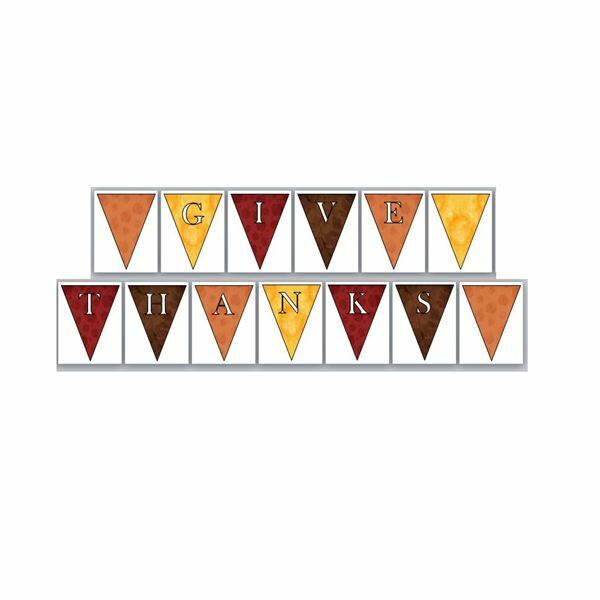 Look no further, as you can customize, print and use any or all of the following free Thanksgiving templates to make everything from greeting cards and menus to decorative banners and place settings. All you need is Microsoft Word, a color printer and just a smidgen of spare time. Whether you want to use this template to make cards for family far away or customize it to invite friends to your home for a holiday feast, this half-fold template is simple to personalize. 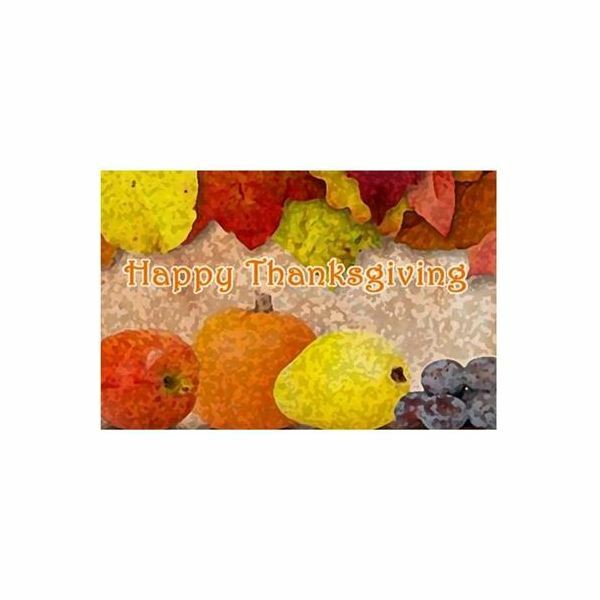 The front of the card displays a watercolor-like image of autumn leaves and fall fruits with, “Happy Thanksgiving" across the front. The inside of the card has a text box into which you can type your own personal greeting or invitation. You’ll need to print the card using your printer’s duplex print option, if applicable. Otherwise, you can print one side, put the paper back into the printer upside down and print the other side of the card. Get your home ready for guests by printing and hanging this thanksgiving banner. The 13-page template spells out “Give Thanks," with each letter on a decorative flag shape on an individual page. You can change the message of the banner, if desired, by selecting a letter and typing over it. In addition, if you’d like to change the backgrounds of the flags, right-click the flag, choose Format Shape and select a different picture, color or texture with which to fill it. Make your time in the kitchen more fun using your own custom recipe cards, or have them handy to give out to guests who ask, “How did you make this?" This recipe card template has a papyrus texture background, but if you would prefer a plain white background you can remove this. In Word 2007 or later, select the Page Layout tab. Click Page Color in the Page Background group and choose No Color. You can change the background in Word 2003 by selecting Background from the Format menu and changing the settings. 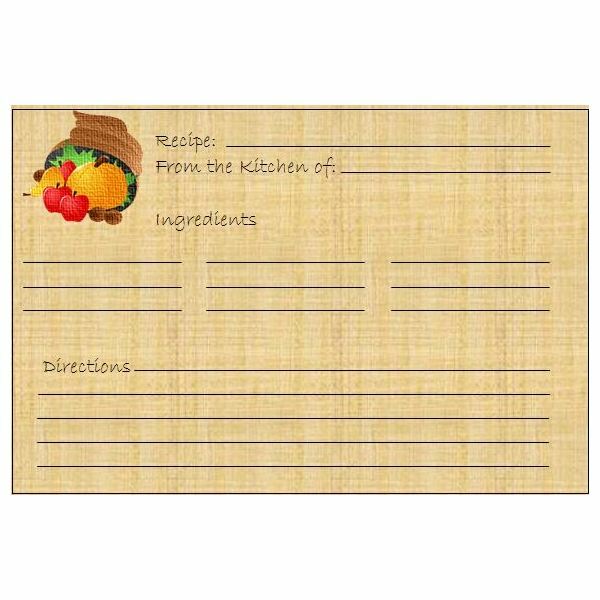 The template has text boxes over each line so that you can type directly onto the card in Word, or you can print out several and handwrite your recipes. Once you decide which recipes to prepare, you can print up menus that are sure to wow your guests. 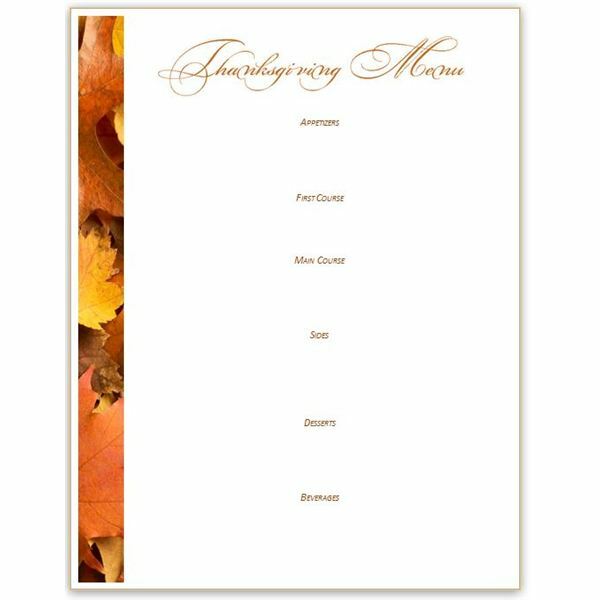 This template features the words “Thanksgiving Menu" in a special font across the top. Since it is not a standard font, the heading is actually an image, which means you cannot modify the text. However, you can delete the image and replace it with a text box if you wish to change the text. The body of the menu is a table with one column and many rows so that you can type your meal details directly onto the page before printing it. Make it easy for guests to find their place at your festive table with these customizable, printable tent-fold place card templates. 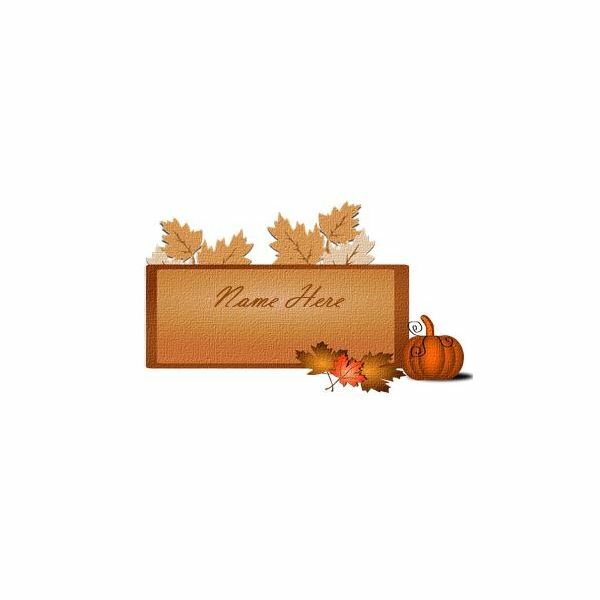 The template makes four place cards per page and you can type each guest’s name onto a card. Print them onto card stock, cut them out and then fold them in half.